We are thrilled to announce that Long Beach Mayor Robert Garcia has just launched of a new citywide book club — aptly named the Mayor's Book Club — and he has chosen I'm Dyin Here: A Life in the Paper by Tim Grobaty as the first read. “I just loved I’m Dyin’ Here," Garcia said, describing the book as "an honest and extremely funny look at life in the newspaper business and here in Long Beach." The Mayor's Book Club replaces "Long Beach Reads One Book" — which fell victim to budget cuts several years ago. The book club is sponsored by the Long Beach Library Foundation. Grobaty and Garcia will appear together for a community conversation and interview at the Beverly O'Neill Theater Sept. 15, and a number of other book-related events and promotions will be held at local venues throughout the fall — including "Drinks with Tim" Oct. 26 at the Brass Lamp Book Bar & Lounge and a screening of "All the President's Men" at the Art Theater Dec. 11. We've set up a Reader's Guide here, which has information on the book, the book club and related events. Be sure to check out Alan Rifkin's beautiful & fascinating story about a brain-injury-victim-turned-artist, which ran on the front page of the Orange County Register June 24. It's a piece of literary nonfiction that becomes strangely, almost awkwardly, personal by the end — classic Rifkin. Please do give it a read. And if you like it, be sure to check out his book, Burdens by Water, because there’s A LOT more where that came from. Just a quick note: Relax, It's Just God: How and Why to Talk to Your Kids About Religion When You're Not Religious has been awarded a Silver Medal by the Independent Book Publishers Awards (AKA IPPY Awards) in the category of Parenting. Congrats to all involved, and a special thanks to the folks at at the the IBPA. Okay, yeah, we are giving ourselves a D- on keeping up with this blog. It's shameful, really, but we will be getting back on track beginning... wait for it... NOW! First, if you have a chance, check out Wendy's bit on a new public radio podcast called But Why: A Podcast for Curious Kids where she tackles the question posed by a 6-year-old girl from Kansas. "Why do people have so many religions?" Good question, right? The answer is pretty good, too. Second, speaking of podcasts, be sure to listen to Alan Rifkin talk about his new book BURDENS BY WATER on The How The Why podcast — which is produced by an excellent nonprofit in Orange, Calif., called the 1888 Center. We recently had the pleasure of meeting Kevin Staniec, 1888's founder and executive director, and are especially excited about collaborating with in the near future. We'll keep you posted. And, third(ly), if you haven't seen Tim Grobaty on C-SPAN's BOOK TV yet, you really should. He does a great bit on his book I'M DYIN' HERE and on what it was like to work in a newsroom when "newspapermen" were the gateway to pretty much all our information. Here's a picture of Tim in the newsroom in 1984; that should give you a clue. All the woodwork was done by Charlie Russell (Wendy's husband). Thank you, Charlie! Want people to come to your booth? Give away free stuff. • Chatting with Johnny from Akashic Books — the Brooklyn-based publisher whose company EXPLODED after publishing Go the F**k to Sleep. Can we please have that happen to us now? Please? • A visit by Manchester, England-based Ryan Doyle of the design duo DR.ME, which designed the cover for Burden by Water. • Checking out one of our (many) favorite bands, I See Hawks in LA, which played on the stage right behind us. • Hearing that some folks had shown up at the Jane Austin Society booth (next door to ours) wondering if the author was going to be signing books. Um. Yeah. She's been dead for 200 years, but it's great to hear you're such a big fan. You guys, you guys, you guys. 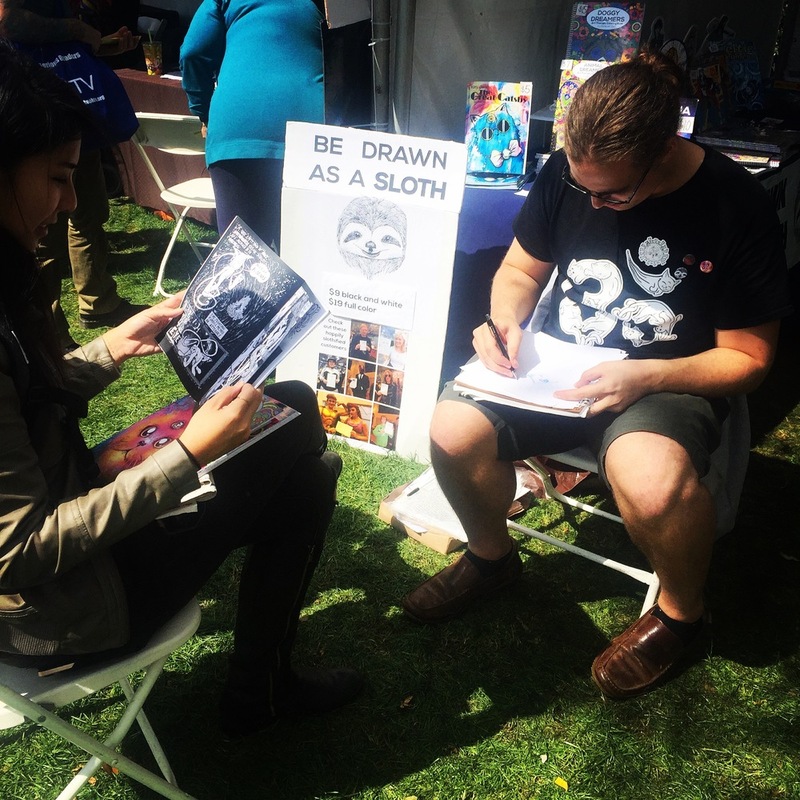 THE LA TIMES FESTIVAL OF BOOKS! We will be debuting our "vintage-looking" canvas tote bags, and giving them out to everyone who buys a book, signs up for our mailing list or just flutters their eyes right at us. How easy are we? Very. Authors Tim Grobaty, Alan Rifkin and Wendy Thomas Russell will be signing their books from 12-4 on Saturday; Grobaty and Russell will return for another round of signings Sunday 12-4. Rifkin can't make it on Day 2, though, so be sure to stop by Saturday to visit with him. Oh! And we'll be posting updates on social media throughout the weekend, so be sure to follow us on Facebook, Instagram or Twitter if you're so inclined. 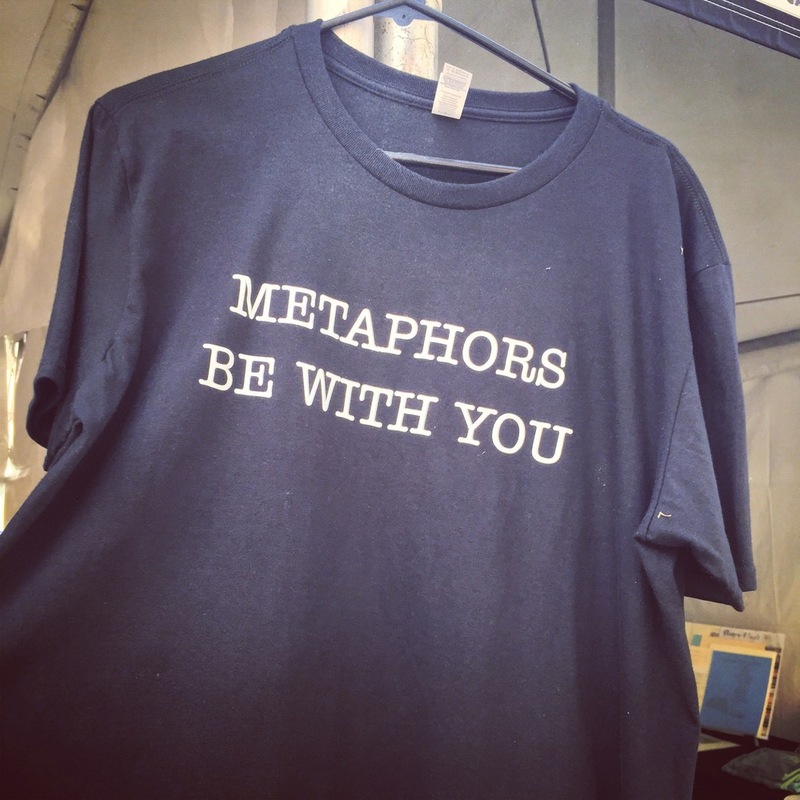 Hashtag: #bookfest. Visit latimes.com/festivalofbooks for tons more information. 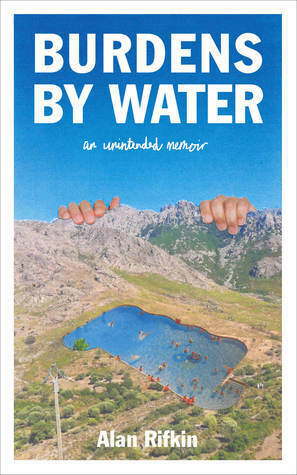 Joe Donnelly has written a wonderful review of Alan Rifkin's Burdens by Water for the Los Angeles Review of Books. Donnelly riffs eloquently about the days when personal nonfiction was in high demand, when journalists were flown all over the country in search of capital-t Truth, and people like Alan Rifkin were paid not just to report on what was going on in the world but to write what was going on in their heads. The point is, journalism was once allowed and even encouraged to tackle Chekhovian concerns, to give purpose to factual storytelling beyond the mere transfer of information. Rifkin comes from that time, and he did it better than most. This collection is a testament to that. In lesser hands, of course, these pieces would collapse under their own ambitions, but Rifkin’s mastery of narrative architecture and the crystallizing line never let contemplations run away or the prose grow too ponderous. For instance, the “Pool Man” characters mine the “gorgeous crypts” — rectangular, kidney-shaped, or “reedy Xanadus” — of their tenuous middle-class lives for signs that their California dream survives. Check out the entire review here. Not everyone knows the music of singer/songwriter/producer/poet Dave Alvin. But those who do think he's great. And not "great" like the day you had yesterday, but, like, Jesus great. Case in point: Our friend Harry. When we told Harry that Alvin had plugged Brown Paper Press and its authors at the launch for Alan Rifkin's Burdens by Water and Tim Grobaty's I'm Dyin' Here, he didn't mince words. "That is like the finger of God coming down and touching you," he said. Dave Alvin is out on tour with his brother Phil Alvin (both founding members of the Blasters) promoting their new album Lost Time. I like to think that's the only reason he wasn't there, imparting his Greatness upon us in person. "Congratulations to Alan Rifkin and Tim Grobaty on the publication of their new books. Mr. Grobaty is one of my favorite music journalists, with a smart, perceptive and often humorous view of the complex workings of the music world. Mr. Rifkin is a great rock and roll writer. Not that he writes about rock and roll, but he writes like a true rock and roller: Sharp, brave, curious, a touch sarcastic and more than a little wild. His words can make you think, shout, dance and maybe even cry. I also want to commend Brown Paper Press for having the taste and wisdom to give a forum to two distinctive voices of Southeast LA County. Best of luck to everyone." We humbly thank you, Dave, and hope you have a (Jesus) great tour. We've had a heck of an exciting week here at the plant. First, we got some great press from the Long Beach Post and the Long Beach Press-Telegram. Very grateful to have such strong local coverage here in the LBC. Speaking of which: A feature in the Long Beach Business Journal's "Women in Business" section is forthcoming, as well. Because we're women, see. In business. Look for that one March 1. Then we had a great turnout at Fingerprints Saturday night at the launch for Tim Grobaty's I'm Dyin' Here and Alan Rifkin's Burdens by Water. The authors read passages from their books — making us laugh, cry and think in equal measure. Okay, we really didn't cry. At all. But there was wine. And who needs to cry when there's wine? There also was music — local musician 8 Good Fingers (not his real name, but his real amount of fingers) played for a while. (Really well, too, considering the number of fingers). And Dave Alvin (founding member of the Blaster's who is now on tour with Phil Alvin) sent a super-nice note of support — calling Rifkin "sharp, brave, curious, a touch sarcastic and more than a little wild" — which Rand (the owner of Fingerprints) read aloud. As always, thanks for the support. We know it's cliche, but it's true: We couldn't do this without you. We are thrilled to announce that 8 Good Fingers — the stage name given to Long Beach musician Kirk Jordan — will be playing at Brown Paper Press’ double book launch party this Saturday. Just in case Tim Grobaty and Alan Rifkin weren’t enough to bring in the hordes (as if), an 8-fingered guitarist surely can't hurt. Seriously, Jordan is a great musician with a new EP, Sensible Shoes, that just hit record stores. In addition, he’s a South Dakota native who has acted with Clint Eastwood, won a Jeopardy championship and taught third grade. Where: Fingerprints, 420 E. 4th St.
Don’t forget to get your reservations in early for dinner at Berlin Bistro beforehand. (Phone: 562-435-0660). We hear Grobaty may even have a meal named after him. Advanced copies of Burdens by Water and I'm Dyin' Here are available FOR FREE through Goodreads as part of a weeklong giveaway — and it's super-easy to enter. Just click on one or both of the links below and enter your email address. Goodreads will select winners randomly, and we'll have the copies in your hands before you know it. 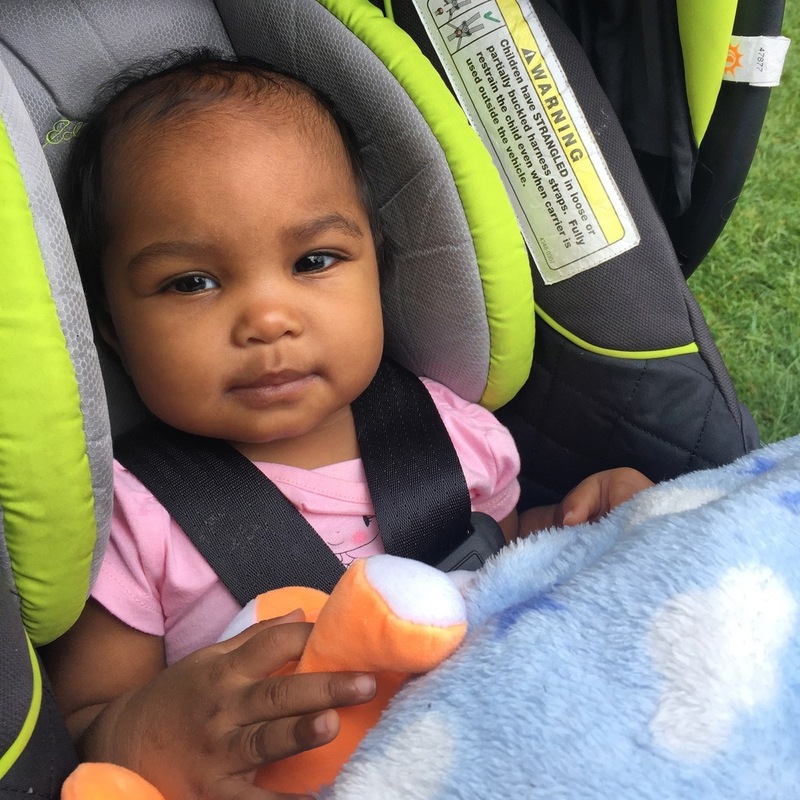 Giveaway ends January 27, 2016. Exciting news! 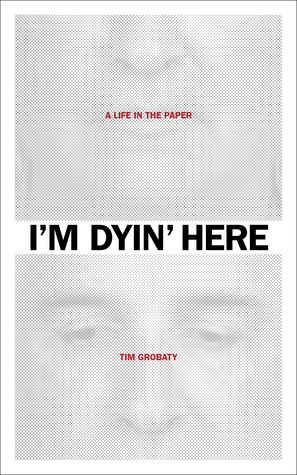 We've finalized the covers for both of our February 2016 releases — Burdens by Water: An Unintended Memoir by Alan Rifkin and I'm Dyin' Here: A Life in the Paper by Tim Grobaty. We searched high and low to find the right cover art for Burdens by Water. In fact, we went all the way to Manchester, England. Well, we didn't physically go there, but that's the home of the multi-disciplinary design studio of DR.ME, aka Ryan Doyle and Mark Edwards (Eddy). Jennifer first spotted their work in Osso Magazine and was immediately struck by their amazing collages. This layered, surrealist approach was the perfect match for Alan's series of far-flung adventures; one image would never have been sufficient. The hands gripping the mountain and the odd, oversized pool set into the landscape perfectly capture the pathos of the Southern California dream. Yep, we could meditate on DR.ME's creations all day long. Luckily, we'll all be seeing a lot more of DR.ME in the future. The studio is working on a book about the use of collage in contemporary graphic design called Cut That Out, which will be published in Autumn 2016 by Thames & Hudson. We found our other designer much closer to home. Evan Backes Design is based right here in Long Beach. We were fans of Evan's work before we even knew who Evan was, and likely you are too. You know those art books that chronicle rock climbing and surfing through the decades? The ones with beautiful photography and clean layouts? The ones that make you want to quit your day job, don your Patagonia, and set out on an adventure? Those are Evan's designs. So who better to capture the shenanigans of our very own man-of-the-street, Tim Grobaty. Sure, Tim's not scaling walls in Yosemite or getting barreled in the South Pacific in I'm Dyin' Here, but he's talking about life and death. And Evan's black and white color scheme and pixilated portrait elegantly evoke the parallel tracks—professional and personal—outlined in Tim's latest book. Evan has provided art direction for an amazing roster of clients such as Roxy, SALT Optics, True Religion, Vans, The North Face, and T. Adler Books. Brown Paper Press is thrilled to be in such good company. Many thanks to Ryan, Eddy and Evan for your amazing work!